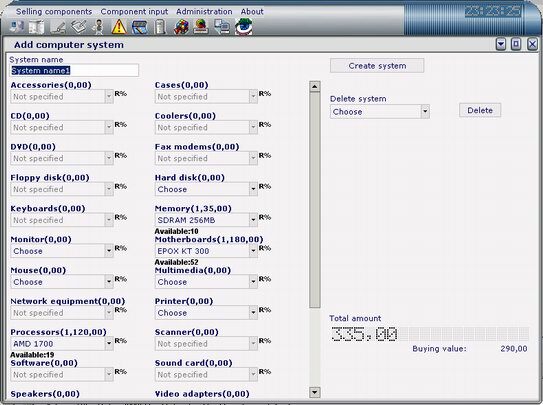 Create system configuration and use it later in sell computer system form. 4. Click on 'Save' button when you finish. � You can DELETE system configuration, just select it from list and press 'Delete' button. and component with specified bar code will be selected. � On the screen, when you select component, total amount and "buying value" (total price of choosen components reported through buying prices) changes, so you can see your profit for selected components.